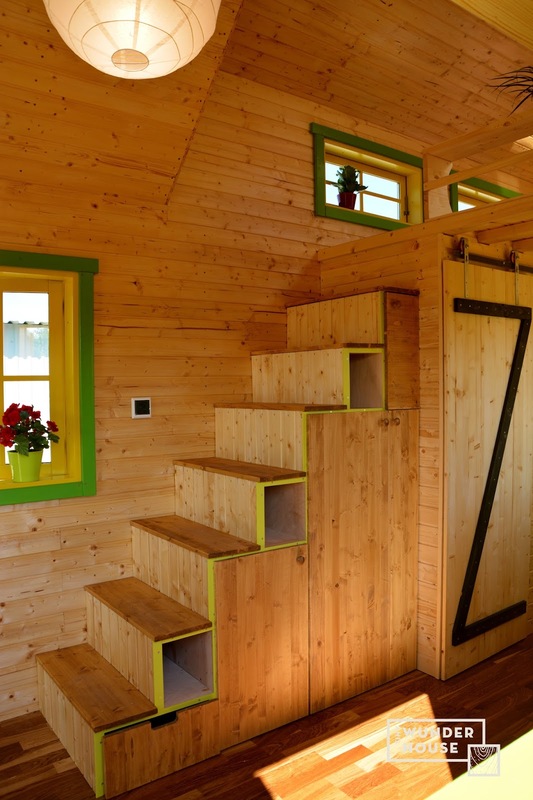 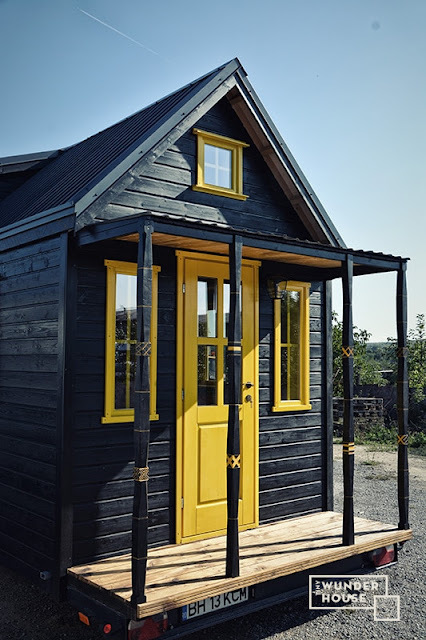 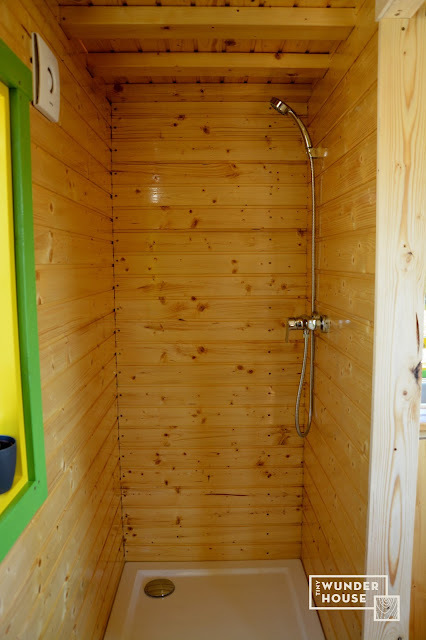 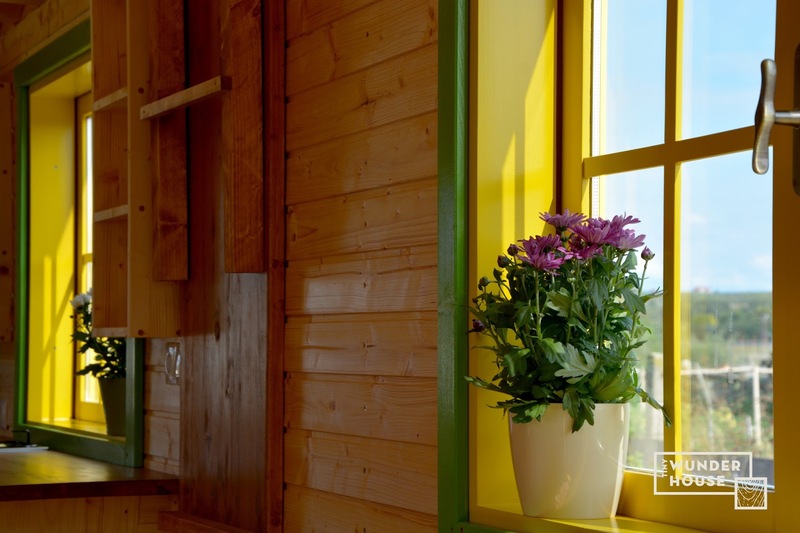 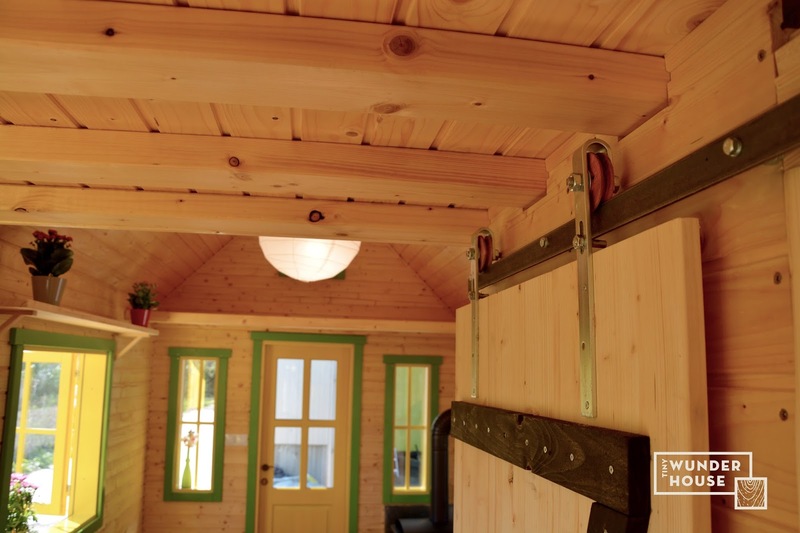 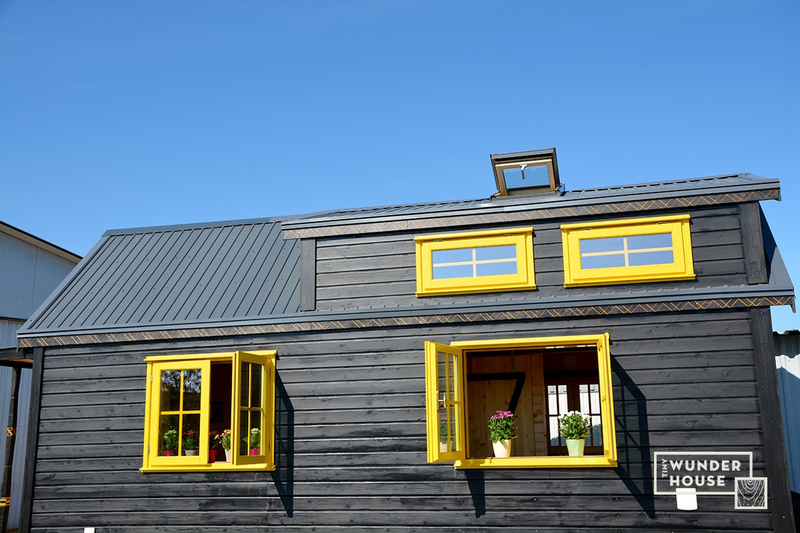 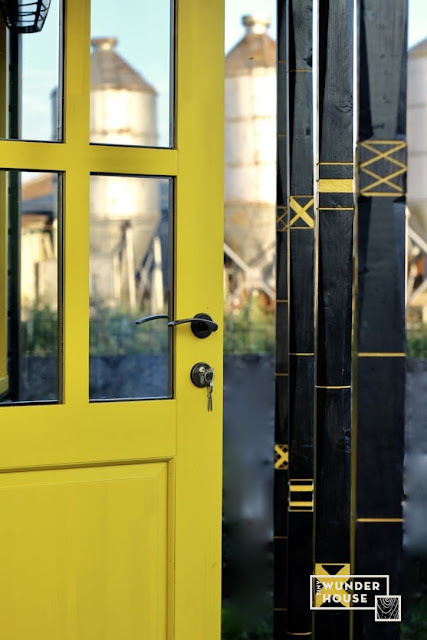 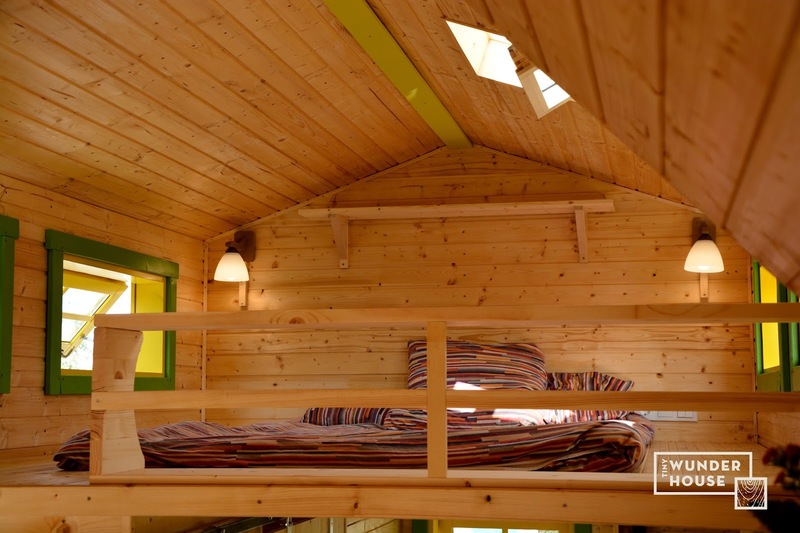 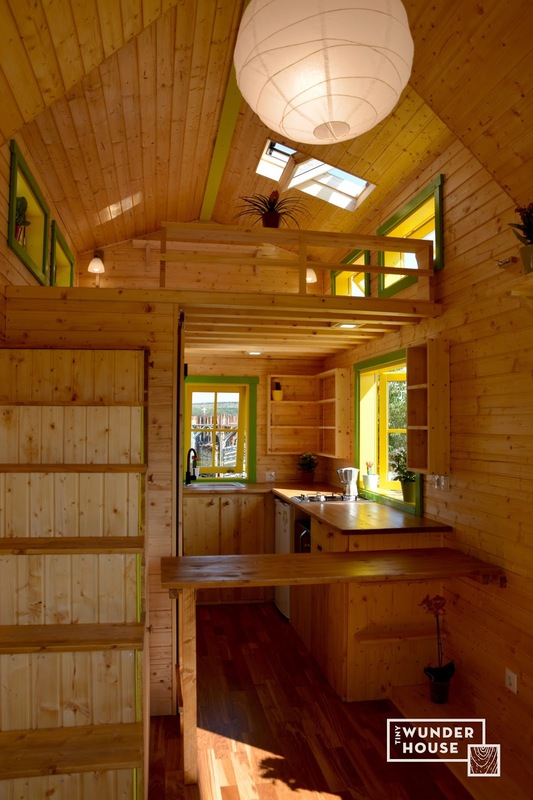 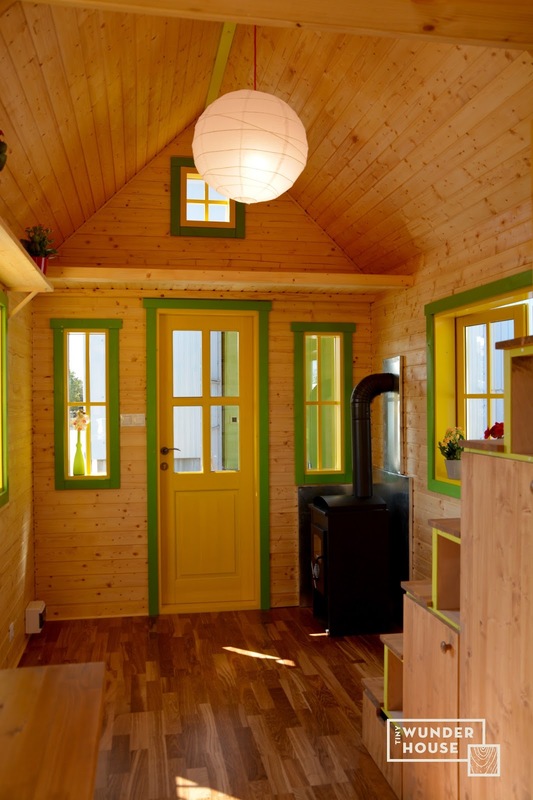 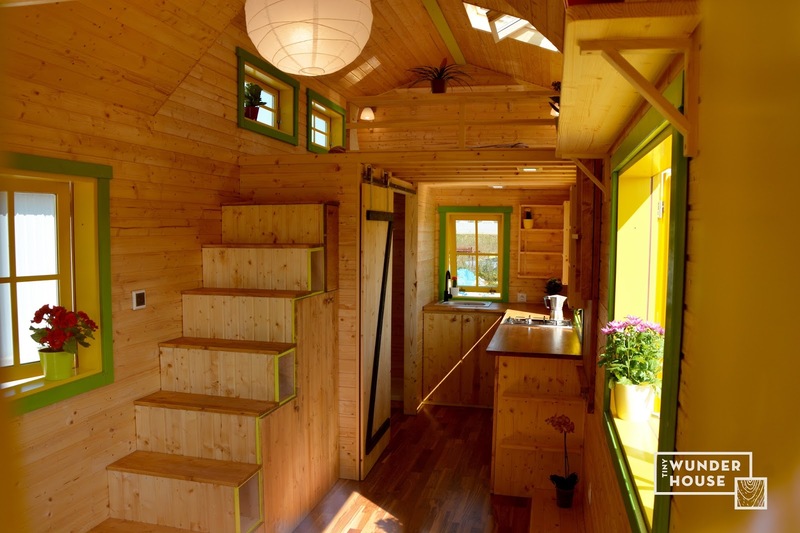 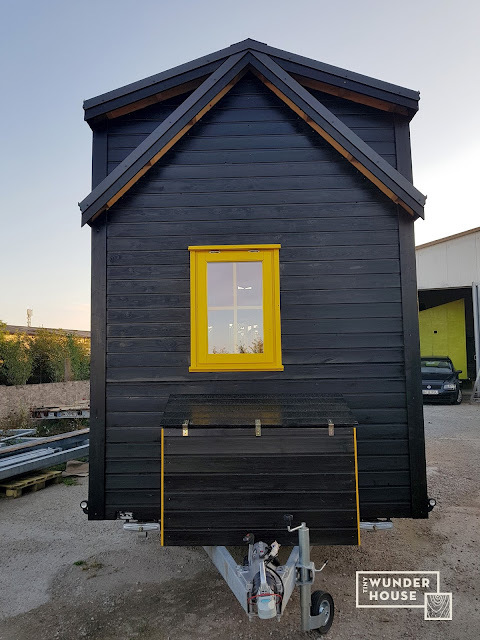 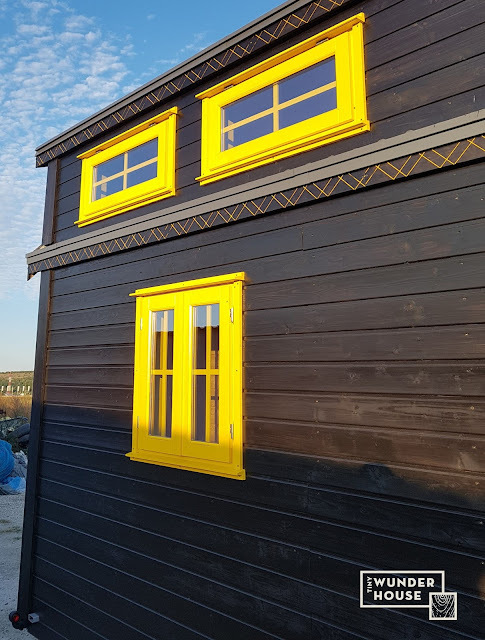 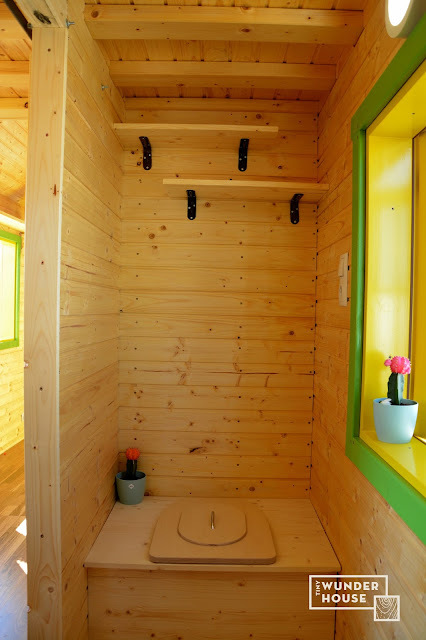 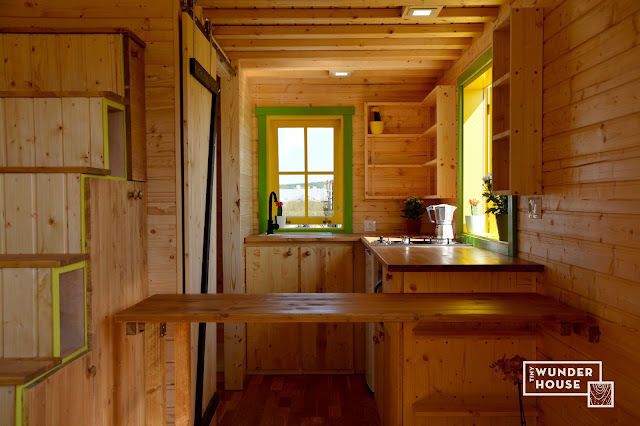 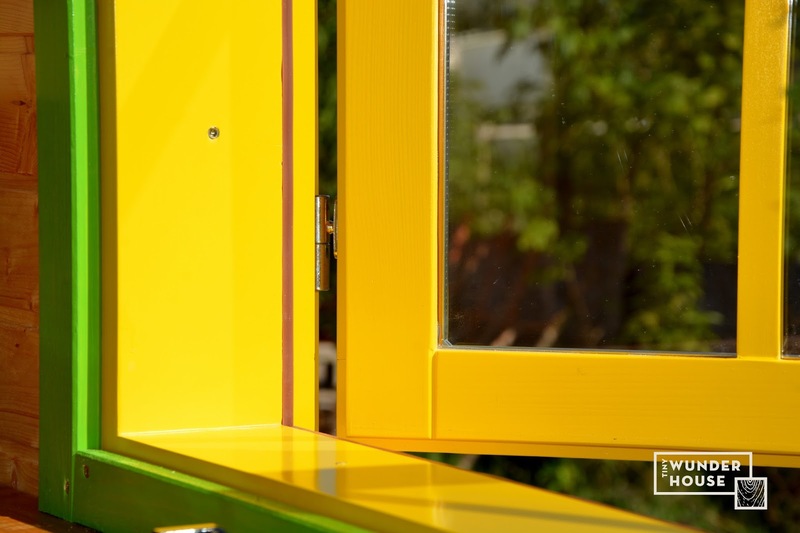 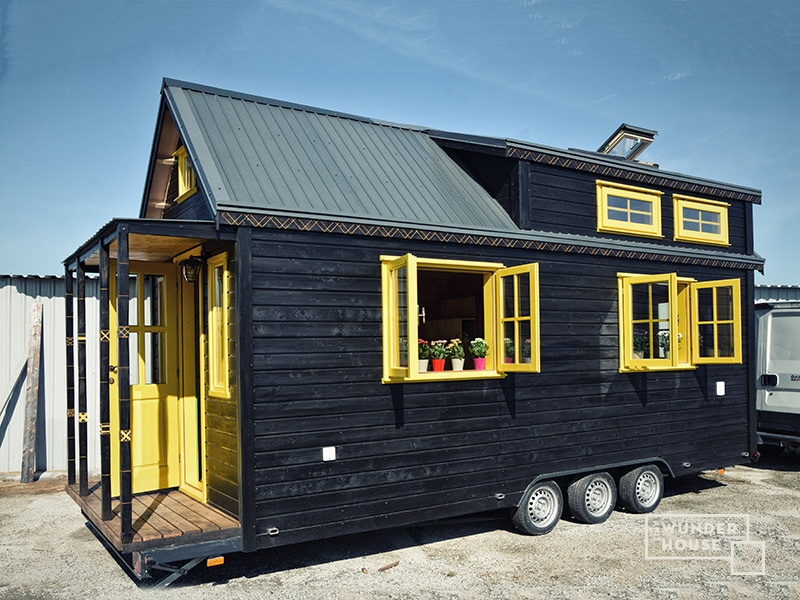 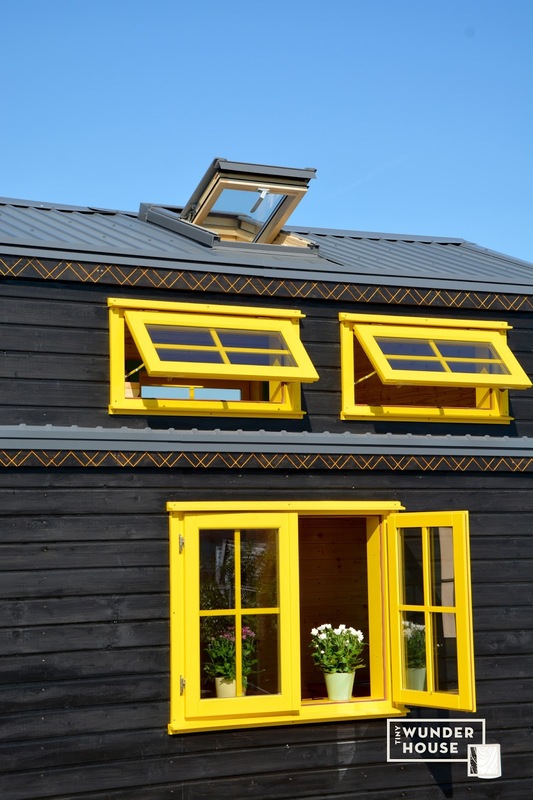 Our first tiny house feature from Romania: the Bumblebee! 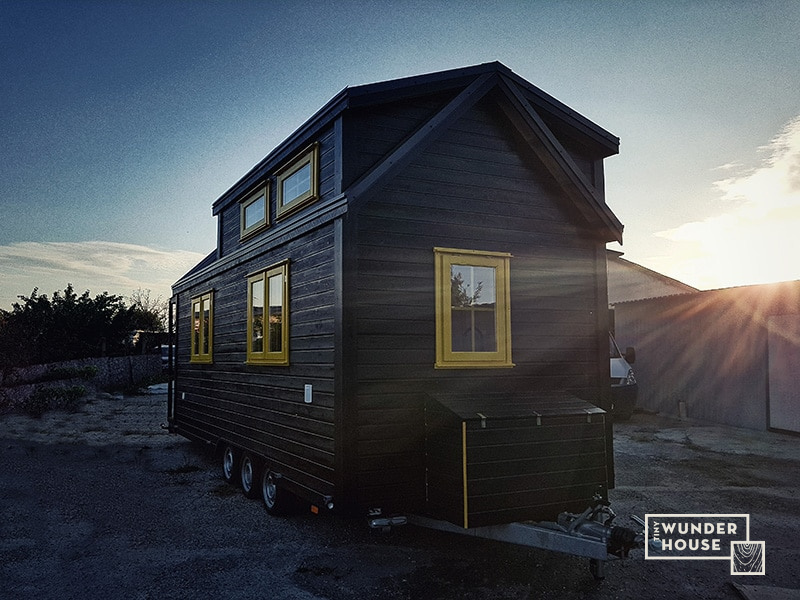 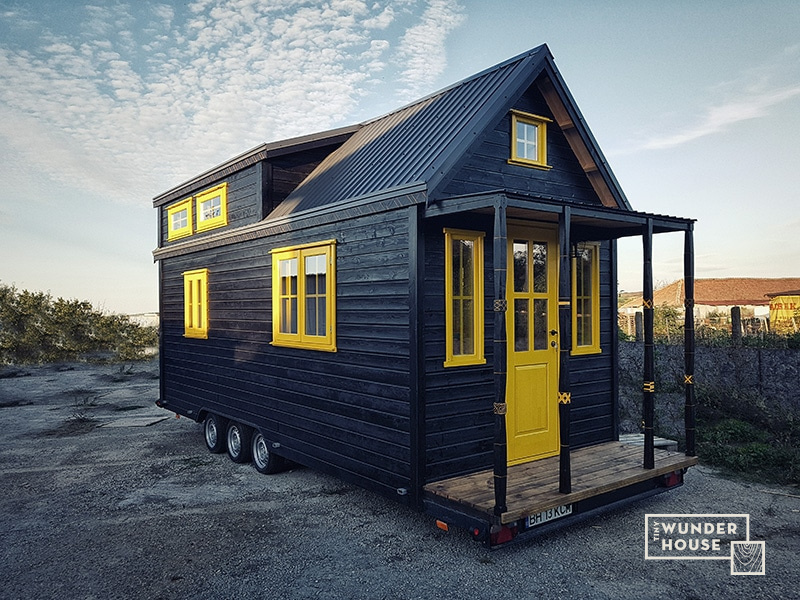 The home is designed, built, and now offered for sale by Tiny Wunder House; a tiny home builder based out of Timisoara, Romania. 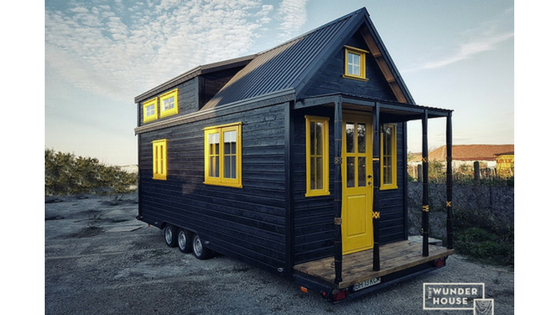 The home spans 6-meters x 2.54-meters or about 19.6' x 8'3". 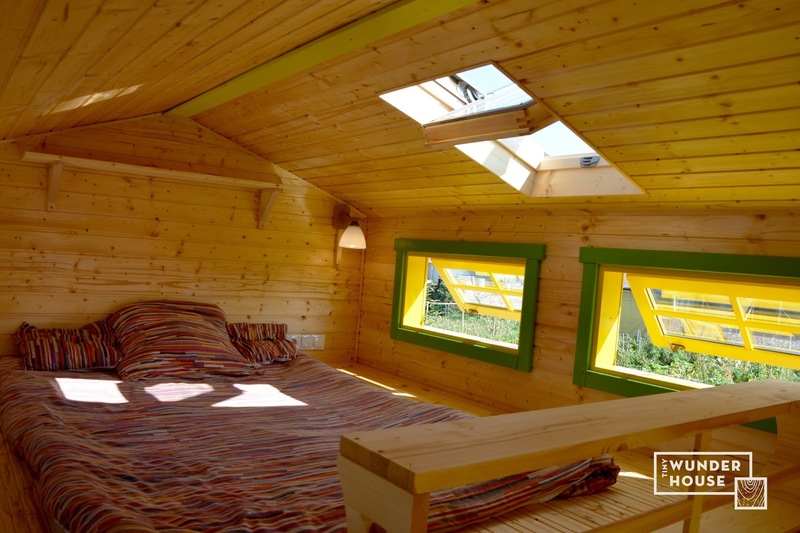 The Bumblebee's exterior is clad in pine with an eco-friendly varnish. 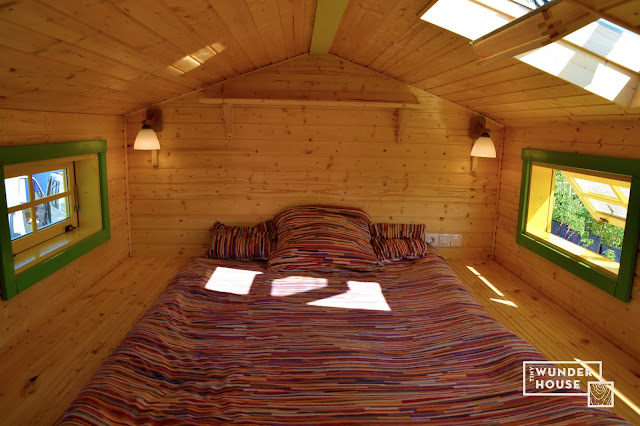 It also comes insulated with hemp and features a warm pine interior. 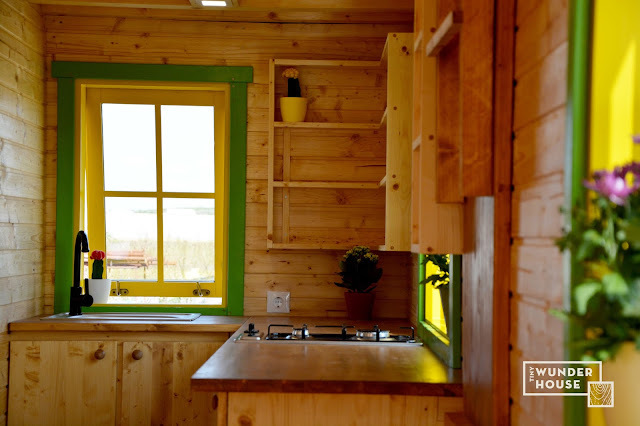 The inside of the home is a kitchen with a two-burner gas cooktop, and space to add a fridge and oven. 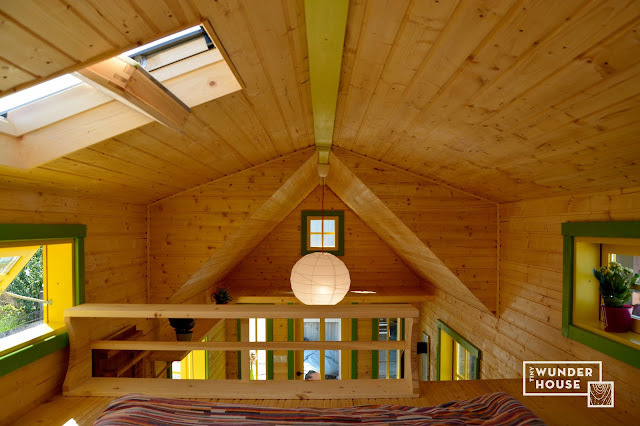 There's also a loft bedroom that's accessible by storage stairs, a bathroom, dining space with a fold-down table, and a skylight. 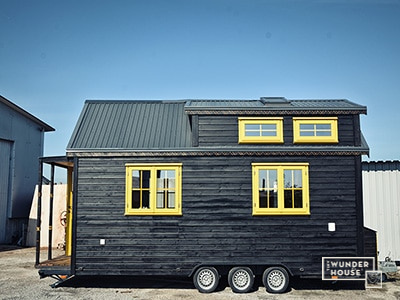 For more information and/or inquires about the Bumblebee, contact Tiny Wunder House here!